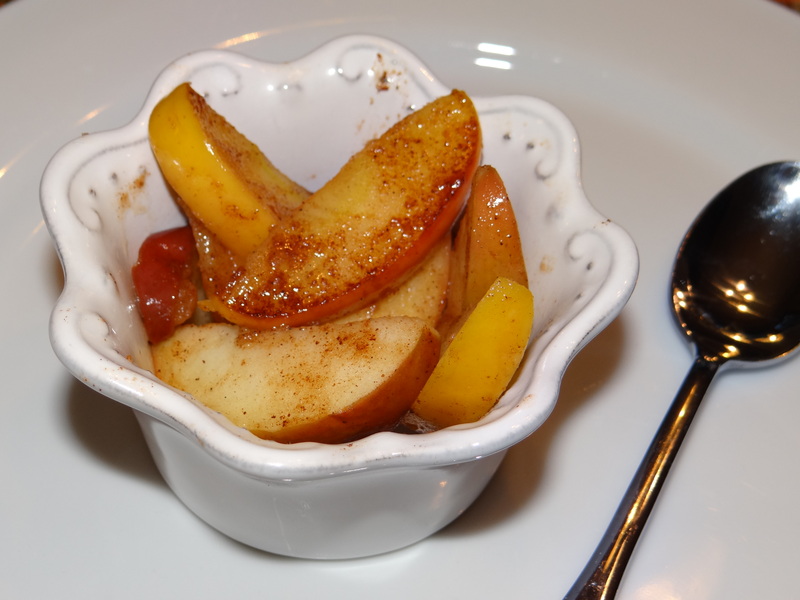 Foodie Friday – Shopping With My Mom…Cooked Apples…Priceless Memories! There are daily wedding details to handle around my household right now. Only 7 more days!! Oh, so excited! Earlier this week, I spent the day shopping with my sweet mama, helping her to be all “dolled-up for the wedding festivities. As we drove around town and shopped, we talked about all the plans and the prayers that have gone into this day. I am so incredibly thankful for a mother who is a prayer warrior on the behalf of her family. One thing I am sure to do on the wedding day, is to look down our row of seats, to where my mom will sit, and give God a heart of praise for how she has poured her love into our kids and is able to witness this event. After returning home from our fun little outing, I began to think about dinner and suddenly had the urge to cook some apples, just like my mom used to fix when I was a young girl. This dish holds wonderful memories for me, not only as a child, but when I first got married. On my first married Thanksgiving, we were unable to be with family because I had to work at the hospital where I was a nurse. I spent the day missing my family, and after completing my shift, I came home to a delicious dinner that my husband had been busy preparing all day while I was working. Somehow, he had gotten cooked apples from my mom (who at the time lived about 5 hours from us) and had them sitting on the table for dinner. My heart completely melted. My husband knew how much I needed a taste of home that day. This dish remains a wonderful comfort dish for me. I love how it smells while cooking on the stove. On a cold night, there is nothing better than hot, cooked apples. It’s like eating apple pie without the crust! Don’t think I don’t love a good apple pie! However, there are times when I don’t need all the calories that come with the crust. Like right now…I have a beautiful gown to fit into and wear in 7 days!! I am about to gain another wonderful daughter-in-love!! 3-4 apples, cored and thinly sliced – I like to use a variety of apples, mixing tart apples (MacIntosh and Granny Smith) with sweeter apples (Gala, Red, Golden, Jazz ) Leave the skins on! In a skillet, melt butter and evenly coat the bottom of the skillet. Add apples, cinnamon and water. Cover and cook for about 30 minutes on a medium heat. Stir frequently while cooking. After the apples have cooked for about 10 minutes, add the sugar. Stir well. Cover and continue to cook until the apples are soft. Enjoy the smell while the apples are cooking! That’s all there is to it.. Simple and easy! But ever so good! Have fun making some memories!